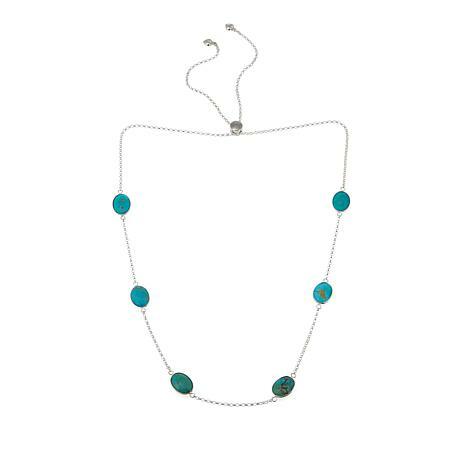 Beautiful oval stations of blue-green Chilean turquoise give this versatile sterling silver chain a chic pop of gemstone color. Each hand-set station is double-sided, so that distinctive turquoise color is always visible — even when the piece gets jostled around. 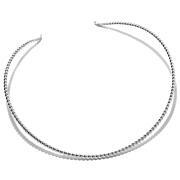 Plus, a custom-crafted sliding bead closure means you can adjust the length anywhere from 18" to 30". Depress the sliding silver disc to adjust the length, then release it when the desired length is achieved. I ordered this necklace because it had two purposes. I can either pull it up tighter or loser with the adjustable chain to frame a necklace or wear tighter. Have looked a long time for one like this and the price is reasonable. I think this is one of the prettiest pieces of jewelry I own. The stones are so clear. I think they refer to it as high blue. Missed getting the earrings in this Chilean turquoise which is a little more to the green side. Hope Jay brings some back. Love the sliding clasp which works beautifully and the whole delicate look of the piece. I also got it in the gorgeous lapis. Ive been collecting Jays pieces of late and have become a big fan of his jewelry. Keep them coming!!! 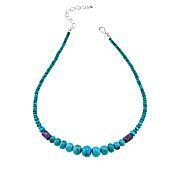 I own the turquoise and lapis necklaces and they are beautiful. Perfect for layering. The stones are amazing and so is the silver. Highly recommend. 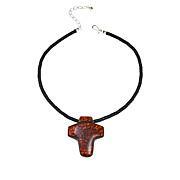 Like the versatility of this necklace. 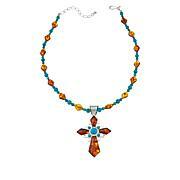 Beautiful worn with the clasp in the back or in the front as a lariat. Love, love love. A lovely shade of blue. Adjustable feature works well.. Soft, shiny chain glides easily.